Time to throw away your bay window curtains! Let us explain our bay window ideas for your home. The United Kingdom is plentiful of homes with bay windows. Victorian and Georgian homes are typically built with bay fronts and modern architects alike add bays to give a home a less ‘square’ feeling. While looking fantastic, they can be cumbersome to add curtains or blinds – taking up significant space or not closing properly. Our shutters for bay windows can solve this problem. In this instance (above) displayed in an angled bay, these bay window shutters have been constructed in a ‘Tier on Tier’ style. This is a common favourite for bays as tier on tier shutters have the most versatility of any design. While being able to have both tiers closed, slats can be angled to adjust the light with maximum control. When the top tier is opened, the shutters appear in a cafe style allowing maximum light into the room – yet still keeping privacy on the lower half. Perfect for living room windows. 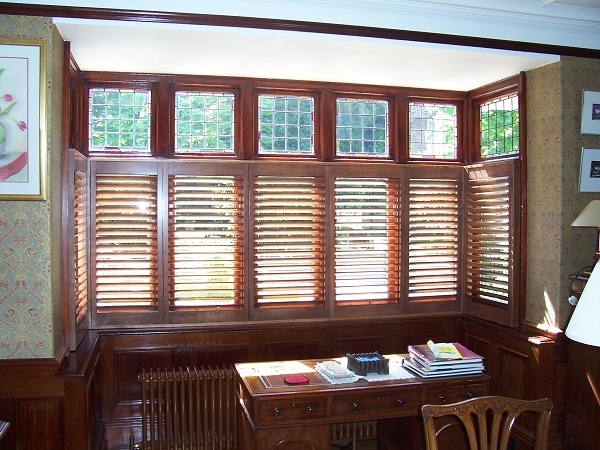 In this box bay (above) wooden bay window shutters have been made in a cafe style. 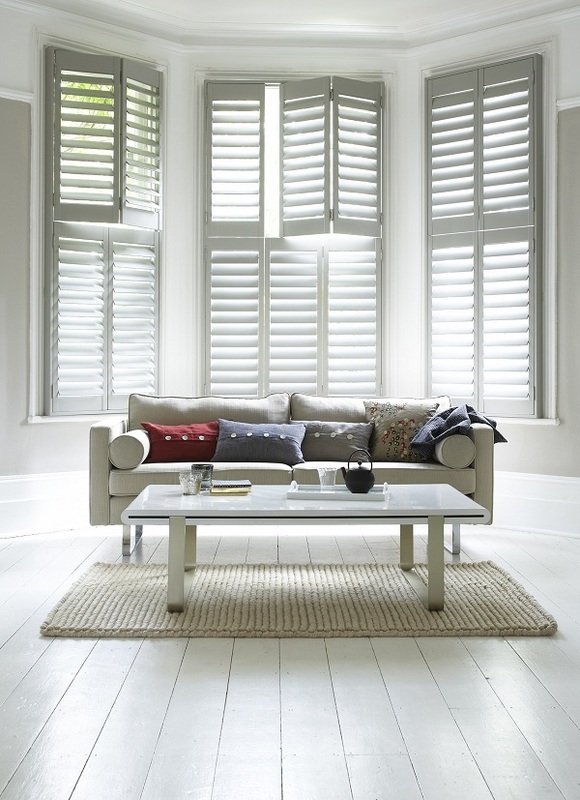 Perfect for lounges and studies, cafe style shutters can be used in place of bay window curtains to give great privacy – but still allow in plenty of light.